It can be easy to get a free quote today. Don’t wait to see how much you could save. 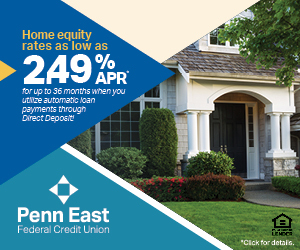 Penn East Federal Credit Union members may qualify for discounts on car insurance through the TruStage® Auto Insurance Program. You could save big, and it can be easy to switch carriers—without losing any money.